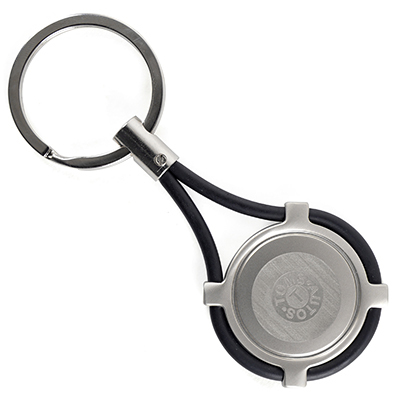 Description: Coloured plastic loop keyring with a metal recessed disc and split ring attachment. Additional Information Price includes engraving to 1 position only. Price excludes Carriage & Origination. Full colour is done via an epoxy dome.